A little Parking directly on the Beach. In the Season you find every 200 Meters Showers and Feetshowers. Also you can find 2 Toilets (one available for People with Handicap). Kiosk’s and Restaurants directly on the Beach. The Sand of this Beach is very fine and bright. Police or Guardian Civil said nothing. They control a lot of Times this Street. You can find all kind of Shops here – Palmones is a big, big Commercial Center! Out of Season no Problem – there are 3 Parking (wie stayed on the second in the Middle). The 3. one is the Parking of the Restaurant. Maybe not possible to park there. The first and biggest one is before you turn left on the right side (directly on the Bus-Station). The Town is not nice, but the Beach!!! We visited in March 2015 another Time this Parking, but after one Week Rain it was not possible zu park there. 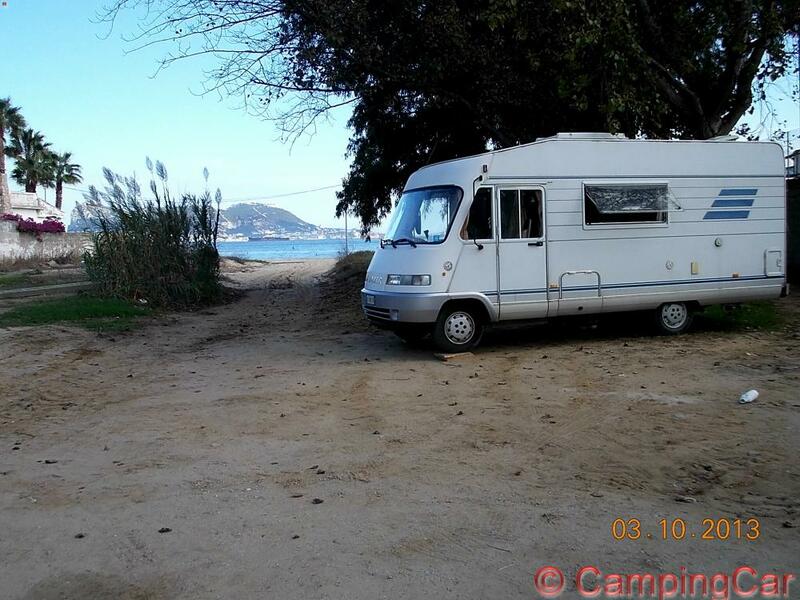 Dieser Beitrag wurde in Countries, Free Camping - Wild Camping, GPS, Spain, Travel-Facts, WiFi veröffentlicht und mit Andalucia, Beach of South of Spain, Beach on the Mediterran See, Beach with Sand, CampingCar, Coast, España, Fastfood, Feetshowers, fine and bright Sand, Free-Camping, Free-WiFi, Freistehen mit dem Camper, Freistehen mit dem Wohnmobil, Fresh Water, GPS, Kiosks, Küste, Mediterran See, Mediterranean Coast, Meer, Mittelmeer, Motorhome, Nice Beach, Palmones, Palmones – Spain / Spanien / Spagna / España, Parking, Reise, Reisen, Reisen im Wohnmobil, Reisen im Womo, Reisen in Spanien, Reisen in Spanien mit dem Wohnmobil, Reisen mit dem Camper, Reisen mit dem Camper in Spanien, Reisen mit dem WoMo in Spanien, Restaurants, Sand-Strand, Shops, Showers, Spagna, Spain, Spain / Spanien / Spagna / España, Spain South, Spanien, Toilet for Handicap, Toilets, Travel, Travel in Spain, Travel with a Camping Car, Travel with a CampingCar, Travel with the Camper, Travel with the Camper in Spain, Travel with the Camping Car in Spain, Travel with the CampingCar in Spain, Travel with the Motorhome, Travel with the MotorHome in Spain, Unser Camper, WiFi, Wild-Camping getaggt.